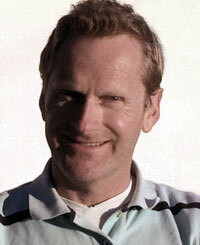 Sigurd Eskeland is a Norwegian information scientist with expertise in cryptography and security. After a first degree in industrial electronics, he obtained a Masters in ICT (both from University of Agder, Norway). He has a PhD (from Aalborg University, Denmark) in cryptographic protocols. He is currently a senior researcher in information security with the Norwegian Computing Centre. Dr Eskeland gives talks about information, complexity, and language, and how this relates to creation and Darwinism. Sigurd Eskeland. Communication-efficient privacy-preserving smart metering. Proceedings of the 11th European Conference on Software Architecture (ECSA '17), September, 2017, Canterbury, United Kingdom, pp. 109-114, ACM. Sigurd Eskeland. Fully threshold broadcast encryption. Proceedings of the 12th International Conference on Availability, Reliability and Security (ARES '17), August 2017, Reggio Calabria, Italy, pp. 51:1-51:5, ACM. Sigurd Eskeland. Compromise-protection of Smart Meters in the Smart Grid Using Co-dependent Authentication. Proceedings of the 10th European Conference on Software Architecture Workshops, November 2016, Copenhagen, Denmark, pp. 31:1--31:4, ACM. Sigurd Eskeland. Non-Interactive Secure Multiparty Key Establishment. Tatra Mountains Mathematical Publications. Volume 60, No 1, Sep 2014, Special Cryptology Issue, pp. 47-56. Sigurd Eskeland. A space-efficient multi-receiver public key algorithm. Proceedings of Norsk Informasjonssikkerhetskonferanse, November 2013, Stavanger, Norway, pp. 112-121, Akademika Forlag. Sigurd Eskeland, Vladimir Oleshchuk. Secure Group Communication Using Fractional Public Keys. Proceedings of International Conference on Availability, Reliability and Security (ARES 2010), February 2010, Krakow, Poland, pp.254-257, IEEE Computer Society. Sigurd Eskeland. A multi-receiver public key cryptosystem. Proceedings of Norsk Informasjonssikkerhetskonferanse (NISK 2009), November 2009, Trondheim, Norway, pp. 110-121, Tapir Forlag. Sigurd Eskeland. Efficient Group-Oriented Key Establishment Using Fractional Public Keys. Short-Paper Proceedings of The 14th Nordic Conference on Secure IT Systems (NordSec 2009), October 2009, Oslo, Norway, pp. 6-14. Sigurd Eskeland, Vladimir Oleshchuk. Collusion-Resistant Threshold Cryptosystems. Proceedings of International Workshop on Coding and Cryptography (WCC 09), May 2009, Ullensvang, Norway, pp. 256-266. Sigurd Eskeland, Vladimir Oleshchuk: Book chapter: Information Security and Privacy in Medical Application Scenario. Handbook of Research on Advances in Health Informatics and Electronic Healthcare Applications: Global Adoption and Impact of Information Communication Technologies, 2009. Sigurd Eskeland, Vladimir Oleshchuk. Hierarchical Multi-Party Key Establishment for Wireless Networks. Journal of Information Assurance and Security (JIAS), Issue 1, Volume 3, Dynamic Publishers, USA, 2008. Sigurd Eskeland, Vladimir Oleshchuk. Hierarchical Group-Oriented Key Establishment and Decryption for Wireless Networks. Proceedings of Fourth International Conference on Information Assurance and Security (IAS 08), September 2008, Naples, Italy, pp. 67-72, IEEE Computer Society. Sigurd Eskeland, Vladimir Oleshchuk. Secure Team-Based EPR Access Acquisition in Wireless Networks. Proceedings of Third International Conference on Availability, Reliability and Security (ARES 2008), (International Workshop on Security and Privacy in e-Health), March 2008, Barcelona, Spain, pp. 12-15, IEEE Computer Society. Sigurd Eskeland, Vladimir Oleshchuk. EPR Access Authorization of Medical Team Based on Patient Consent. Proceedings of Conference on eHealth ’07, October 2007, Oldenburg, Germany. Lecture Notes in Informatics 118, GI 2007, pp. 11-22. Sigurd Eskeland, Vladimir Oleshchuk. Collusion-resistant threshold decryption. Proceedings of Conference on Network and Information Security (CNIS 07), September 2007, San Francisco, USA, pp. 12-15, IASTED/ACTA Press. Sigurd Eskeland, Vladimir Oleshchuk. Hierarchical Multi-Party Key Agreement for Wireless Networks. Proceedings of Third International Symposium on Assurance and Security, August 2007, Manchester, UK, pp.39-43, IEEE Computer Society. Sigurd Eskeland. Public Group Key Cryptography. Tatra Mountains Mathematical Publications. Vol. 37, No. 3, pp. 23-33, 2007. Sigurd Eskeland, Neeli Prasad. A novel hierarchical team-based access control scheme for wireless networks. Proceedings of WPMC 2006, San Diego, CA, USA. Sigurd Eskeland, Vladimir Oleshchuk. Anonymity authorization granting in medical information networks. Proceedings of European Conference on eHealth’06, September 2006, Fribourg, Switzerland. Lecture Notes in Informatics 91 GI 2006, pp. 71-82. Sigurd Eskeland. Access Control by Secure Multi-Party EPR Decryption in the Medical Scenario. Proceedings of International Conference on Communication, Network and Information Security (CNIS 06), October 2006, Boston, USA, pp. 99-103, IASTED/ACTA Press. Sigurd Eskeland. Security Analysis of a Large-Scale Voting Scheme. Proceedings of International Conference on Communication, Network and Information Security (CNIS 06), October 2006, Boston, USA, pp. 19-21, IASTED/ACTA Press. Sigurd Eskeland, Neeli Prasad. A Novel Decentralized Hierarchical Access Control Scheme for the Medical Scenario. Proceedings of International Workshop on Ubiquitous Access Control, July, 2006, San Jose, USA, pp. 1-6, IEEE Computer Society. Sigurd Eskeland. A self-certifiable public group key cryptosystem. Proceedings of MoraviaCrypt ’05, June 2005, Brno, Czech Republic. Sigurd Eskeland. Efficient hierarchical conference key establishment in wireless networks. Proceedings of International Conference on Communication, Network and Information Security (CNIS 05), November 2005, Phoenix, AZ, USA, IASTED/ACTA Press. Sigurd Eskeland. A trust framework an authentication protocol for dynamic assignment of authorization in medical domains. Proceedings of Scandinavian Conference in Health Informatics, August 2004, Arendal, Norway.